This is it! 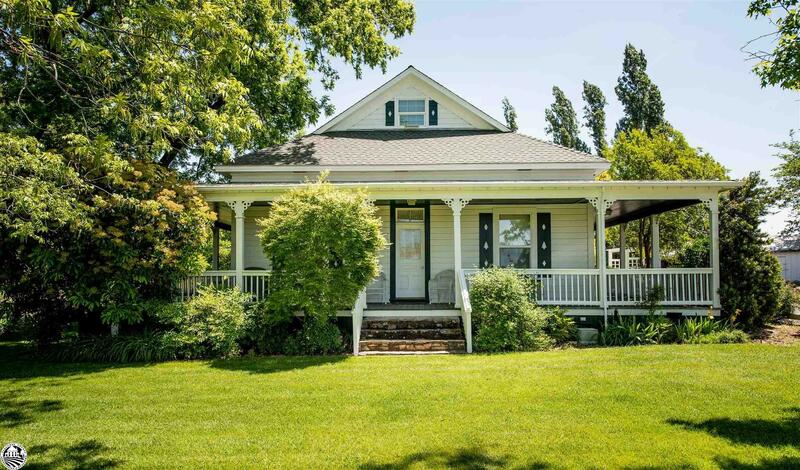 Beautiful authentic Farm House with wrap around porch on 40 acres. Many updates in this charming home, including newer HVAC system, double-pane windows, crown molding throughout the main floor rooms, and much more. Park like yard with 2 large pecan trees and other trees. Small orchard, garden area and dog run. Vintage Barn has tac room, large hay area and manger for feeding horses. Two work shops. Zoned sprinkler and drip system through out. Pasture is rented to rancher who runs about 40 head of cattle from Nov-May and would continue to rent if new owner is agreeable. Also, rents adjacent 2 properties for the same cattle. Acreage makes property very private. Home sets 1/4 mile off Twist Road and is very private. Only 9 miles (20 minutes) from downtown Sonora. IT&apos;S VERY UNIQUE AND A MUST SEE TO APPRECIATE ! !